Every year Birkbeck’s School of Business, Economics and Informatics hosts a Business Week, a week of debate and discussion on a key issue of public and business concern. 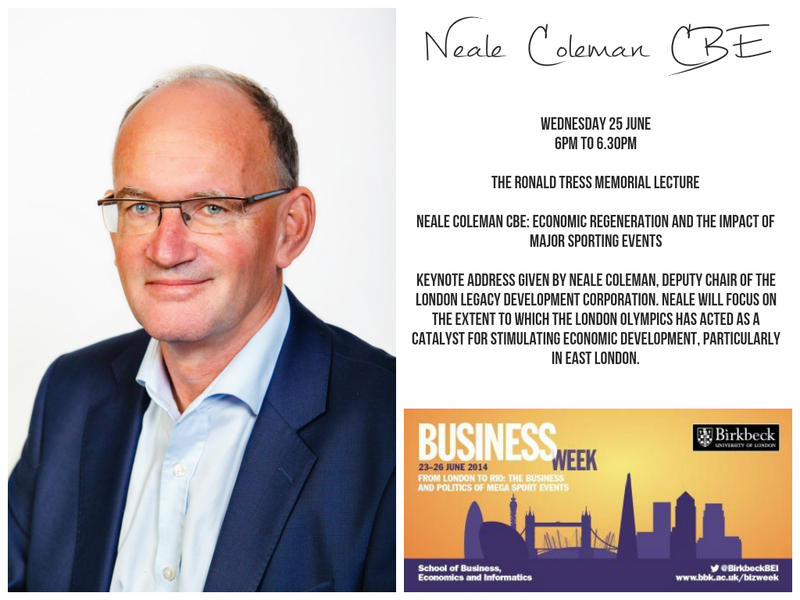 This year’s theme ‘From London to Rio – the business and politics of mega sport events’ showcases current research and debate on the management, psychological and economic legacies of sporting events. Booking and full details for 2014 Business Week events are now available. Please note that must register via Event Brite on the programme page. 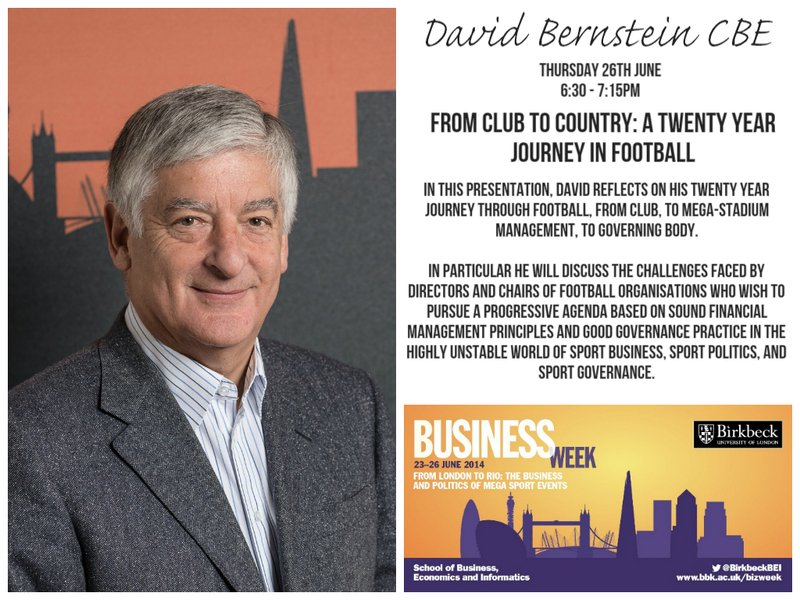 From the impact of digital communications to the application of sporting lessons to improve your business performance, Birkbeck will be delivering an exciting series of lectures and interactive panels. Our academics and keynote speakers will provide insight and commentary as well as posing thought-provoking questions on the legacy of sporting events. We will also be showing three excellent films, all with a Brazilian theme along with a live screening of England’s final group match. Please see the Business Week programme for details of all the events on offer and to book your place. All events are free to attend with tickets sent after online registration. You may also register on behalf of two friends or colleagues whilst booking. For a wider discussion of the programme of Birkbeck Business Week see the article by Sean Hamil on page 34 in the London Chamber of Commerce magazine Business Matters. 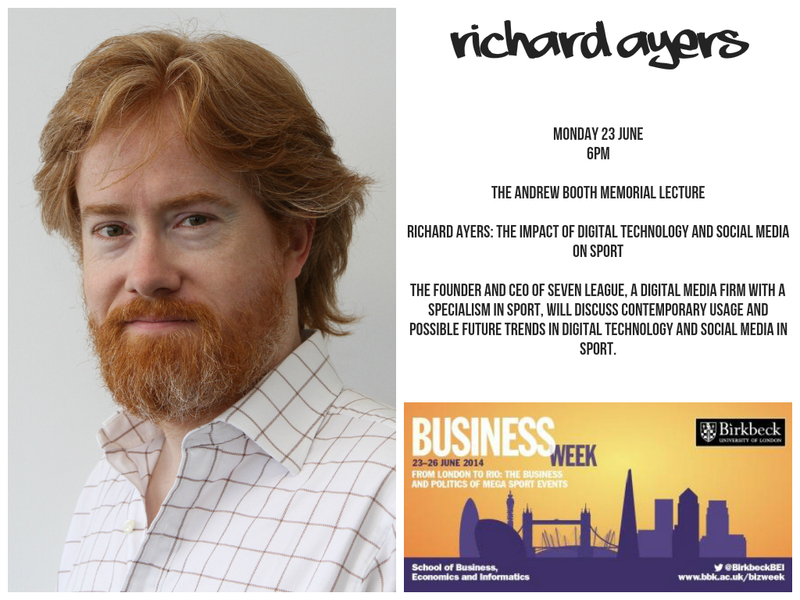 Richard discusses the use of digital media in the marketing of sport events in an article in The Guardian on the 4th June 2014. 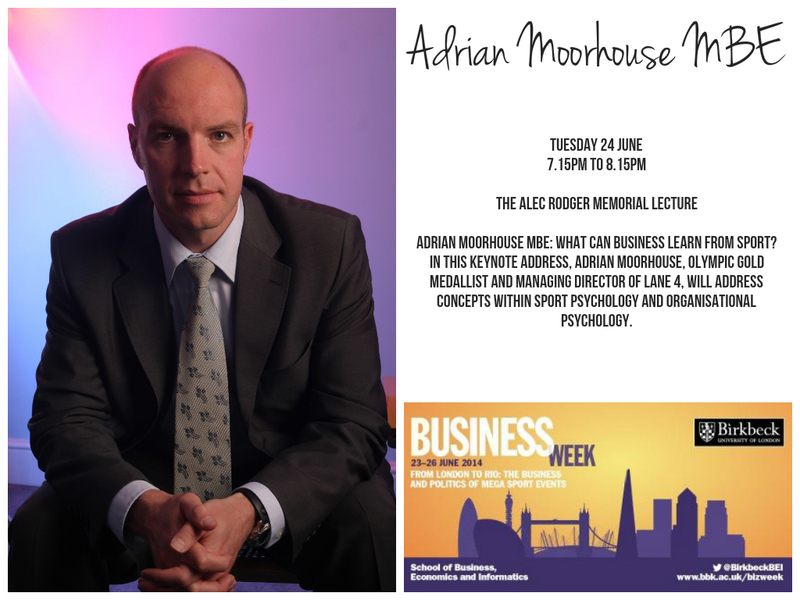 Tuesday 24 June – Adrian Moorhouse – What Can Business Learn From Sport?